Beautiful prom dress with rhinestones from SUSANNA RIVIERI. 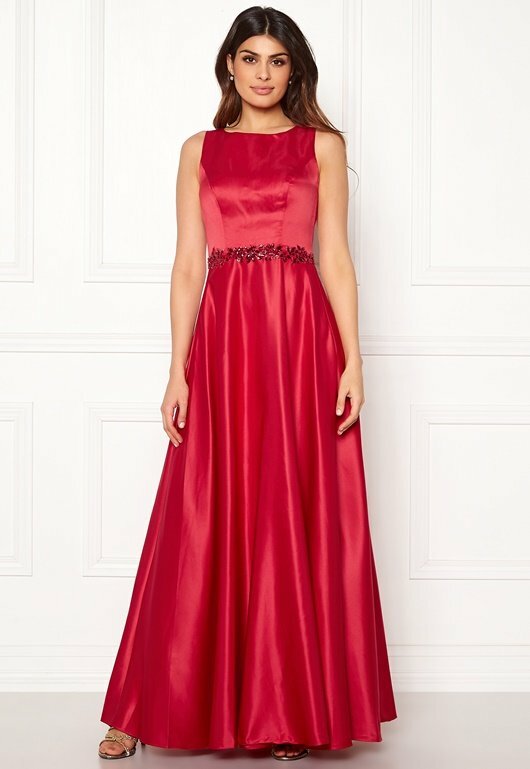 The dress creates a nice silhouette and is perfect for festive occasions. - Lined - Accentuated waist - Rhinestone details - Skirt in lined mesh - Round neckline - Shawl included Back length from shoulder 155 cm in size 36. The model is 178 cm tall and wears a size 36. Dry clean only. For returns to be accepted, the garment must be returned together with the travel bag and original tags, and be without marks.